The Acolyte Ministry provides youth with a meaningful opportunity to be involved and serve in the Lord’s house as helpers and attendants in the Worship Service. Jesus is the Light of the world. His light, visible in our worship, greets the worshipers. Our Acolyte Ministry, provided by the youth, bears the light of Christ into worship each Sunday. Reverently lighting altar candles the acolyte helps prepare us to receive Christ’s light into our lives. Assistant Coordinators: Charles Alcon & Thomas Williams, Jr. The Christian Education Ministry is a Word-Centered ministry whose purpose is to equip and assist each member to become a mature believer of Jesus Christ through corporate and personal study of God’s Word and healthy fellowship with one another. Using various facets of educational expression this ministry provides an environment in which the seed of the Word is sown and matured in participants. This is accomplished through Sunday Church School, Vacation Bible School and special seminars and workshops. Evangelism is sharing the priceless gift of God’s grace and forgiveness so others can have a relationship with Jesus now and forevermore. To that end, the Evangelism Ministry is designed to reach those who are outside the body of Christ with the message and love of Jesus Christ. Our purpose is to fulfill both the great commission given by our Lord and Savior Jesus Christ, “to go into all of the world and preach the gospel to every creature,” (Mark 16:15) and to fulfill the ministry of reconciliation by means of one-on-one, door-to-door, street preaching, and door hanging evangelism methods. Further, our purpose is to encourage, equip and support those called by God to witness and serve throughout our community, nation and the world across a variety of cultures and ethnic divisions. Unite women, ages 22–40, of the A. M. E. Zion Church for mission service in the church and community. Among the prime objectives will be social concerns such as child abuse, teenage pregnancies, drug dependency, world hunger, etc. Provide an opportunity for the personal and individual Christian growth of members. Provide an opportunity for Christian witness through the use of their time, talent, and treasure to support the mission. Provide experiences that will enable Young Adult Missionaries to perpetuate the existence and continued growth of the Women’s Home and Overseas Missionary Society, the A. M. E. Zion Church, and the kingdom of God. The person serving in the role must be a Life Member. The purpose of the department is to organize all Life Members, Matrons, Patrons, and Honorary Life members into a local council. The Life Members Council is the most exciting department in the Women’s Home and Overseas Missionary Society! This department captures the hearts and interests of men, women, boys, and girls from across the width and breath of Zion. An investment in this department is an investment in the lives of Zion’s greatest resource: Her People! A scholarship fund for students attending Hood Theological Seminary. Grants and support to each of our A.M.E. Zion Church Schools. Salaries and stipends for field workers in the overseas area. Missionary training in America and Overseas. Operational expenses of the General Society. Scholarship awards for students attending an A.M.E. Zion Church School of Higher Learning. Giving a donation during the month of October for the Anna L. Anderson Observance. Contributing to the Margaret S. Willie Scholarship Fund. Participating in the exciting new “A Heart for Overseas Missions” project to support our missions work overseas. The purpose of the department is to solicit funds and supplies for home and overseas work. The Greeting Card Ministry exists to ensure that each member of Broadway Temple receives a card on their birthday and to send cards of encouragement to the sick as well as condolences to the bereaved. This ministry works closely with the Class Leaders’ Ministry. The mission of the Health and Wellness Ministry is to educate, support and heighten the awareness of our congregants and the immediate community regarding general health and life balance. The objectives are to educate the congregants regarding healthy lifestyle practices and health issues specific to African Americans, as well as to demonstrate God’s desire for us to be good stewards of our health. This ministry is comprised of medical professionals and health service providers who are members of Broadway Temple. Members of the Health and Wellness Ministry provide medical assistance and emergency first aid to individuals during worship services and other church activities. They also sponsor health and wellness workshops and seminars throughout the year. Or do you not know that your body is a temple of the Holy Spirit within you, which you have from God, and that you are not your own? For you were bought with a price; therefore glorify God in your body. The ministry of the Lay Council focuses on the deepening the spiritual life of the laity, dissemination of information, expanding the denomination through education and evangelism, cultivating denomination loyalty, and promoting other interests for kingdom-building. The objective of the media and sound ministry (audio and video ministries) is to utilize various forms of electronic communication to share our church’s vision and ministry. The ministry provides a means for the congregation to connect with our homebound and sick and shut-in members as well as the Russell, Portland and California communities. This group will skillfully monitor and regulate the sound system during worship services as well as record the worship services on Sunday and at other designated times. They are responsible to handle the duplication and sale of CDs. CDs may be purchased at a nominal cost following any event. CDs will also be given to the sick and shut-in and to visitors. Ministry Team: Steve Dobbins, Thomas Williams, Jr., Navetta G. Matzek, Brooklyn Osborne Lewis, Jeffrey Baker, Jr. The purpose of the Prayer Ministry is to encourage, edify, exhort and equip people to pray with the goal of deepening their relationship with Jesus Christ and advancing God’s kingdom here on earth. Prayer Sessions: Sunday-8:30 a.m. and Tuesday – 5:30 p.m.
After retirement, many people find that they now have more time to get together and enjoy one another’s company. This ministry provides opportunities for senior saints and retirees through scheduled events to get together for fun and fellowship as well as meet new people. Some of the activities include holiday pot lucks, guest speakers on a variety of topics and same day outings. All senior citizens and retires of the church are considered a part of the ministry. The ministry is open to non-members as well. Meets: 2nd Tuesday at 1:00 p.m. The mission of the Praise Dance Ministry is to advance the gospel of the Lord Jesus Christ through dance in a manner that draws unbelievers and prompts Christians to praise God. It is designed to educate both worshipers and dancers in the knowledge of God’s purpose for the dance in the worship experience. The primary task of a Class Leader is to give leadership to a pastoral sub-grouping of the congregation (a Class). Class Leaders are ‘sub-pastors’ to the members of their class giving attention and resources to those in need. Class Leaders serve as a conduit to the Pastor, clergy and other church leaders, as appropriate, concerning the well-being of its class members. The Class Leader shall meet with members of the class weekly and visit those who may be absent as soon as possible, in order to inquire how their souls prosper, to advise, reprove, comfort, or exhort, as occasion may require. Every member of our church has a class leader. The Board of Trustees ministry takes charge of care, maintenance and security of all church property. They initiate necessary improvements to the church property and maintain order and the proper decorum to be observed throughout God’s house of worship. The Trustees are not owners of the church property; they hold the property in trust for the membership. Trustees are keepers of the Temple. Meets: 2nd Saturday at 8:30 a.m.
Board Chair: Haven Harrington, Jr. The Board of Stewards has been charged with and accepted the responsibility of being accountable to make an exact accounting of all tithes, offerings and contributions made to the church. Their duties are: to ensure the stewardship and distribution of church resources; to edify the congregation; to provide support to the pastor and his or her family, and to provide relief for the needy and distressed members of the church. Stewards serve in the role of ministry to the people: pastor and congregation. Stewards are keepers of the ministry overseeing the Master’s money, wages and ministry. Preacher’s Steward: Willie B. Haynes, Sr. The Deaconess Board prepares for the sacraments of the Holy Communion and Baptism. The Deaconess Board’s main concern is mercy, both within and without the church. The Deaconess Board assists the Pastor in ministering to the sick and shut-in. Meets: Friday prior to 1st Sunday at 11:00 a.m. The Stewardess Board is responsible for assisting the Preacher Stewart in making provisions for the support and comfort of the Pastor and his or her family. 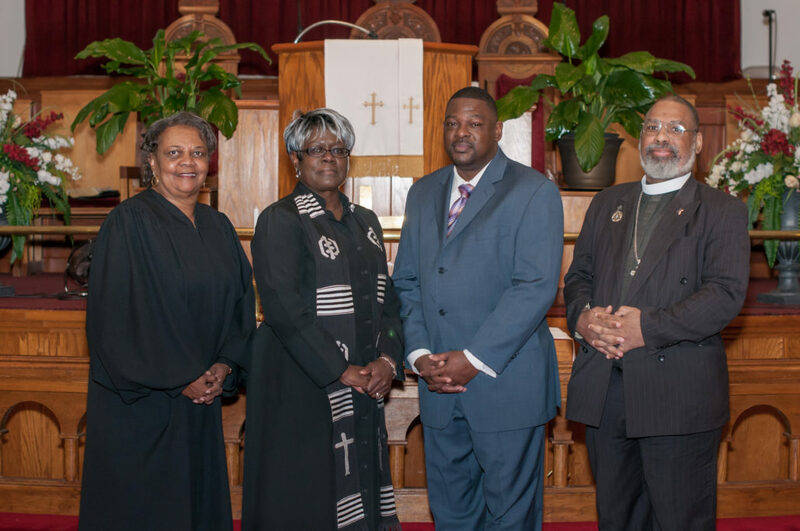 For the promotion of the spiritual interests of the Church, and for the relief of mission charges, and preachers on the poor fields, the General Conference of The African Methodist Episcopal Zion Church directs that there shall be an organization in our church known as the Home Missions Board. In each church there shall be a Home Mission Society organized by the pastor, for the purpose of fostering the Home Mission’s Cause. Fellowship and breaking bread together is a key part of the Christian experience in the life of the church. At Broadway Temple we integrate dining and fellowship into a number of our services and programs. The meals provided are prepared by the dedicated members of the culinary ministry. These members can often be found early in the morning and late in the evening preparing meals for our members and guests. They are responsible to ensure that the kitchen is properly maintained and adequately stocked. The Music Ministry provides spiritual inspiration through song for all major services of the church. The presence and preparation of music for a worship service is Biblical. In the 5th Chapter of II Chronicles, 120 priests who had been assigned a ministry of music blew their trumpets while others sang praises to the Lord. It is a glorious privilege to be involved in the Music Ministry, because just as prayer does, music invokes its own unique manifestation of the Holy Spirit. An important part of the Worship experience is the greeting one receives as they enter the Sanctuary. Ushers and greeters welcome members and visitors with love, make them feel at home, offer assistance and help them get focused on the worship that’s about to begin. The responsibility of the Usher Ministry is to see to the comforts and needs of the entire congregation. Members are to have the gift of hospitality. They are to be doorkeepers in the house of the Lord, and keepers of order and decorum. Their duties are to distribute bulletins and other literature, stand at the Sanctuary doors to invite persons in at the appropriate times, assist in locating seating and receiving the offerings. They are to service the needs of the congregation at worship services, receptions, funerals and other church events. This ministry extends the Kingdom of God by providing transportation to and from worship services at no cost to those members who need it and to provide access to all church services and activities.